When I finished this one, I needed a pint of Moose Tracks, a double shot of vodka, and 3 mile run. Quite possibly at the same time. 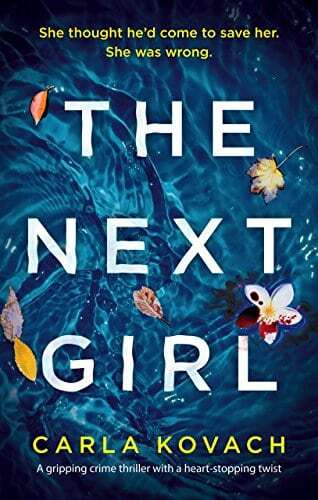 The Next Girl is quite a ride. Very rarely do I finish a book and have such conflicting thoughts and reactions and yet all of them led to this 5-star review. Detective Gina Harte is leading the case on an abandoned baby left in plain sight for someone to find. The DNA results lead to a woman who has been missing for 4 years. The rest of the book is about solving this mystery while introducing us to some truly unforgettable plot twists and characters. Knowing this book is a #1 means there will hopefully be a follow up or even better, a series. There are several things about this book that deserve the 5 stars. I loved the fact I was wide awake at 2am trying to get to a good stopping point. Doing the late-to-work walk of shame over a good book is not a problem for me. I also loved the myriad of emotions from reading the character developments. It was heartbreaking watching Luke as he wrestled with his guilt over possibly moving on with his life after 4 years of no answers . I wanted to take his lady friend out for a girls’ night and cry session after she realized her path was chosen for her and it wouldn’t be what she wanted. Reading the words and thoughts of Debbie’s mother made me want to call mine or maybe jump in the car and drive 3 hours to hug her. The details are absolutely gripping when describing Debbie’s past 4 years. They are hard to read and yet they serve a purpose. There is a fine line between describing horrific events in order to paint an accurate picture and describing them just for shock value. These are the things that make a book great. And we also get an in-depth look into the life of Gina Harte. She has more to her story and I can’t wait to see where this author takes us next. Thank you NetGalley and Bookouture for the ARC. All opinions are my own.